Tête à Tête with BelleBarcelone #1: By Pepa, the golden liquid! BelleBarcelone is presenting a set of informal chat with people who innovate and exude inspiration. Tête à Tête with BelleBarcelone! Our first talk is with Maria Jose Dalmau. 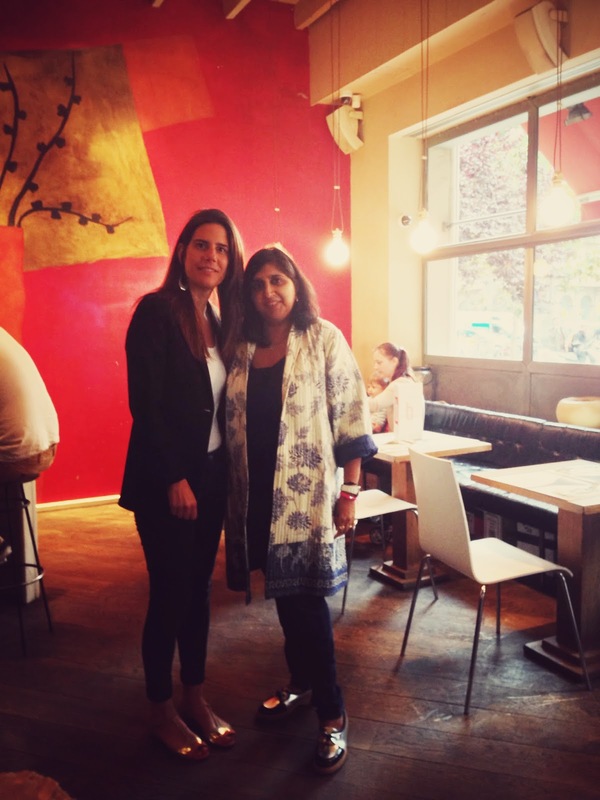 I met her in a café near her workplace where she explained me her project with enthusiasm. You may not have heard about her but you surely have seen her beautiful oil bottles. MªJose created her own company at a very young age: Complete Relocation. 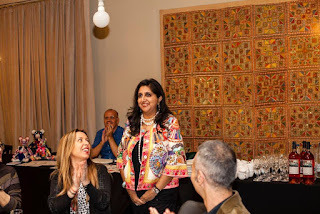 A successful company, helping expats to feel at home. She then worked some years in a marketing company. But for this young entrepreneur it wasn't enough. In 2011, she decided to use the family olive trees property and create something exclusive. And that is how By Pepa is born. 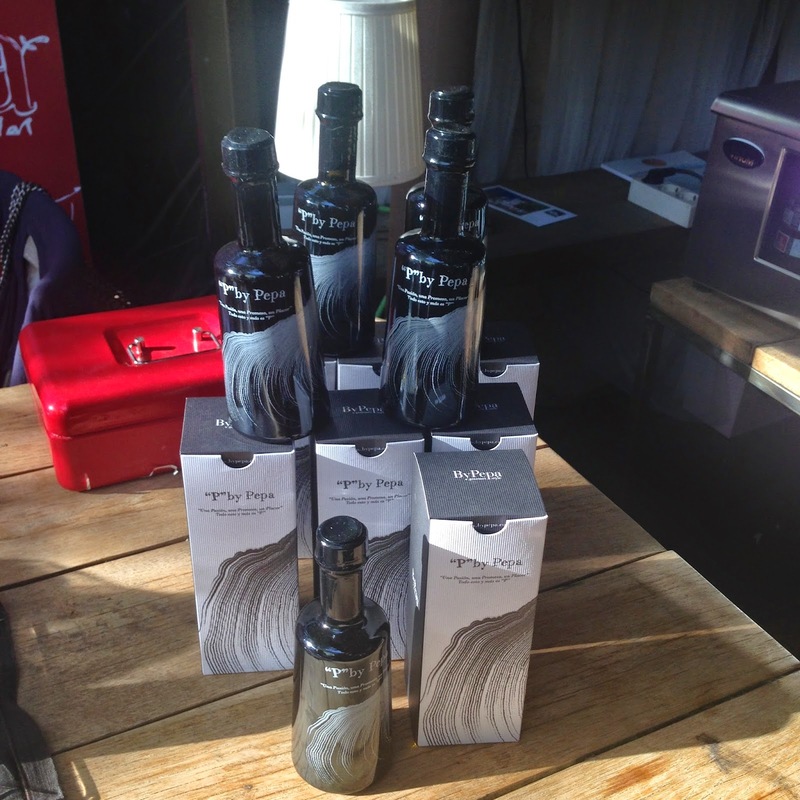 We present you: Pepa el Olivar: an exclusive extra virgin olive oil, made in Catalunya, used with arbequina olives you only get in the Emporda region. The oil is wonderful, unfiltered gold with a character, bitter flavors with a fruity note. What does it differ from other extra virgen good quality oils? The taste is peculiar on one side and the packaging is the key! What did MªJose wanted to offer? An illusion of life. The bottle looks like a perfume bottle, and why not? The red lips are the hallmark of the brand. When you see them on the shelves of the gourmet store, you will feel attracted by them. 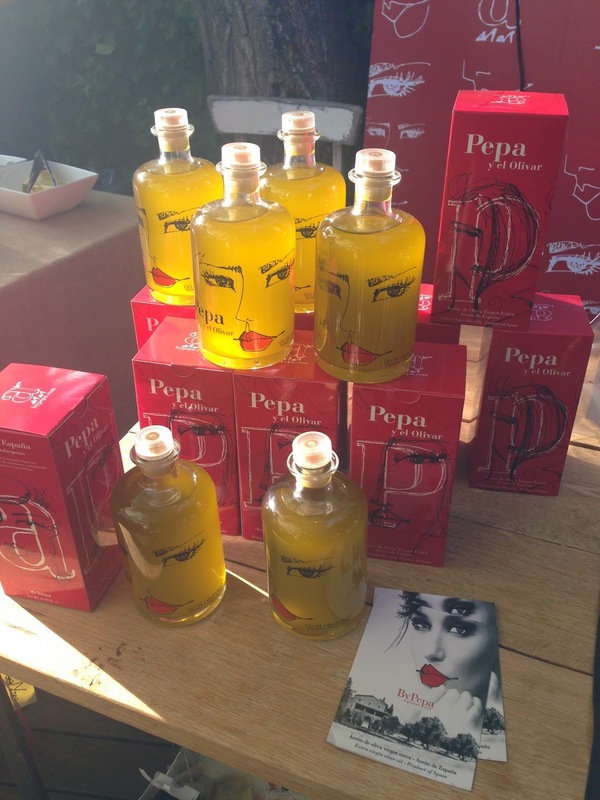 These wonderful olive oil bottles, are available in gourmet stores around Spain; you will also see them around the world like for instance in Selfridges in London, Germany, Australia, Holland, Honk Kong, Panama...Many hotels and restaurants are also serving By Pepa, as it is quality and beautiful! 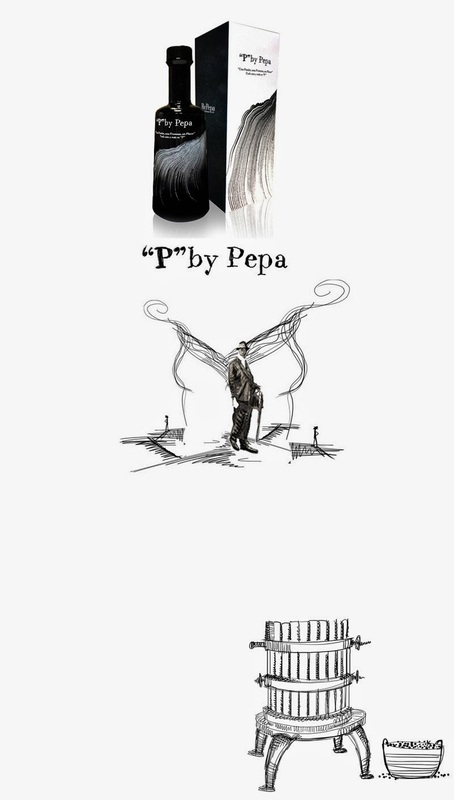 They recently launched P by Pepa. The bottle is more masculine, so you have for Her and for He bottles. 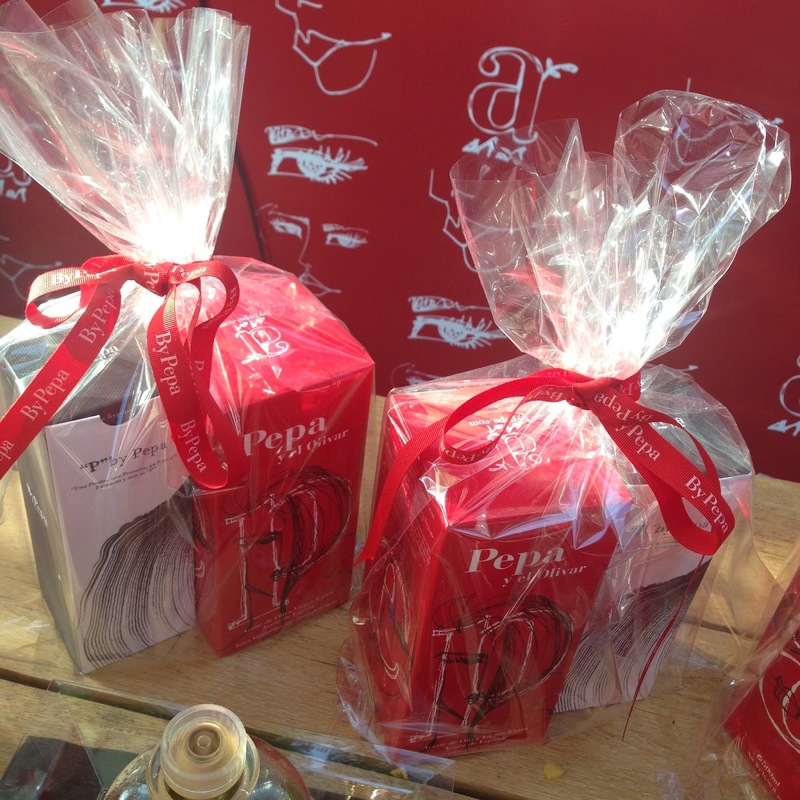 P by Pepa is an extra virgin oil of Hojiblanca olives, spicy notes, hints of basil and almonds for this strong oil. You get these olives in the south an MªJose goes to an oil tasting down south once or twice a year. She is also behind the design of the bottles. 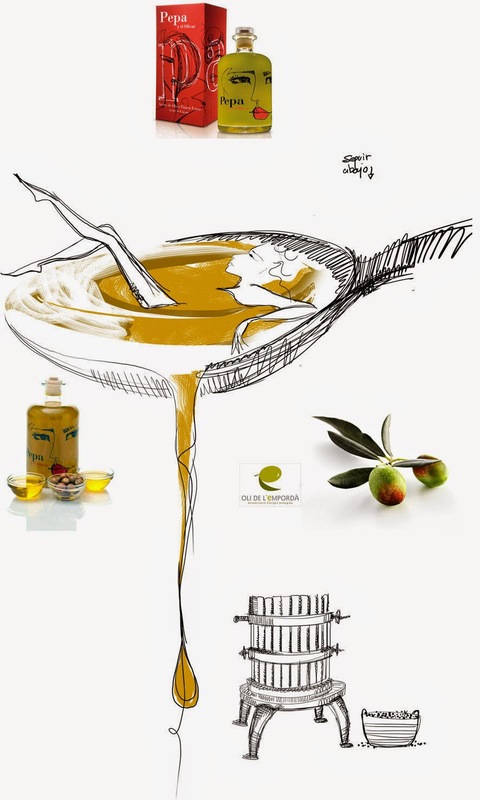 And soon you will have a new packaging, for another olive oil. You get to see the design on this post, en avant-première. By Pepa, MªJose's baby is 3 years old now and has taken giant steps. MªJose, ambitious, hardworking and straightforward, an adept of the Mediterranean diet and healthy lifestyle is here to offer us quality and beauty! It was a pleasure having this informal chat with MªJose. New Packaging! The black Pepa!